I am, or was, a print writer at heart, having majored in English in college many years ago, and then having written thousands of articles for magazines along with 6 books over the past 30 years. This is a sad day for me, as yet another hunting magazine goes down. 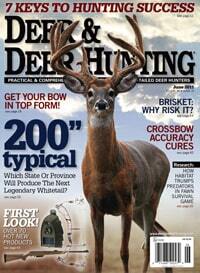 F+W Media, publisher of Deer & Deer Hunting and 50-some other magazines, is liquidating. The New York-based publishing house, which has been in business for 100 years, filed Chapter 11 bankruptcy papers on March 10. According to the filing, the company has seen magazine subscriptions drop from 33.4 million in 2015 to 21.5 million in 2018. Advertising revenues decreased from $20.7 million in 2015 to $13.7 million. Yes, and all of us in the outdoor media, from small bloggers like me to the largest publishing houses still in business, are still, after many uncertain years, trying to figure it out. There is so much free content out there, and so much more written and video content coming online every minute of every day. How to compete? How to stay relevant? How to scratch by and make a living? A profit? F+W Media hopes to sell off its magazine and book divisions, or else Deer and Deer Hunting and the company’s other print/digital titles will cease to exist. Investing in print media is risky (understatement of the year) but my hope is that one of the few large outdoor-lifestyle publishers left—say the publishers of Field & Stream and Outdoor Life—would take a chance on a strong “vertical” brand like Deer and Deer Hunting and add it to their lineup. This one deer magazine is all any outdoor publisher would want. Deer hunting and whitetail in particular dominate and drive the entire hunting industry. If not for deer and those of us that hunt them, there would be no hunting media of any kind. Surely there is a way for a print publisher to figure it out, and peddle enough advertising targeted to America’s 10 million deer hunters to keep 6 issues of Deer and Deer Hunting on the shelves, and a digital version on our devices 24/7/365. This entry was posted in Big Bucks, Big Deer TV, Deer Hunting, Hunting News, whitetail deer by admin. Bookmark the permalink. Well Mike my advice and it is advice I was given 40 years ago when the steel industry tanked, find a new field of employment. Millions of us were forced to at 45+ years of age. I was a sheet metal layout man do you think I would retire as a school maintanece man? Eight years of college. Hey Mike, I know the shift from print to digital is the major culprit here, but do you think there might be additional factors at play? Magazines full of nothing but Top Ten lists and How To articles have led me to let subscriptions lapse. Maybe those things just aren’t my cup of tea, but it seems like there’s a lot of uninspired writing these days. back in the 70s the format of mags changed from adventure to how to do it sales have slipped since then. Firxt VHS was the culprit then the digital age was blamed yet publishers still will not open their eyes to what hunters really want…adventure, NOT yuppie clothes or kayaking articles or hiking we hunters want to read about hunting. I’ve never understood why when the web began to grow, companies “gave away” digital content and still charged for print. Many companies still do that. Throw in the fact that newsstand prices are ridiculous (when compared to subscription rates) and many people either look @ the content on the web or browse through it on the newsstand. It may be too late, but I would offer digital subscriptions for a lower price and quit printing magazines and newspapers. As hunter numbers continue to shrink, I guess it only makes sense that the number of magazine titles available (and sold) would shrink as well. Well I may be old fashioned, and I ain’t that old, but I like reading with hard copies in my hand, not something digital or electronic. But I know the markets are changing and are very diverse, perhaps the most ever! The whole entertainment world is changing and TV, YouTube, the Internet, and social media are all dominating. I don’t know the right answers but publishers have to figure it out or they’ll go down like Blockbusters did, eventually..
right on, good to hear from you Kenny! About two years ago I went to all digital on my subscriptions. D&DH was one of my favorite magazines. But they were not available for digital subscription. I will admit with everything else right at hand on my pad. I have stopped looking at the actual magazine racks. So that magazine has fallen off my radar. Like one the guys said in an earlier post. The quality has gone down. And some of the fun articles have gone by the wayside. RIP McManus.